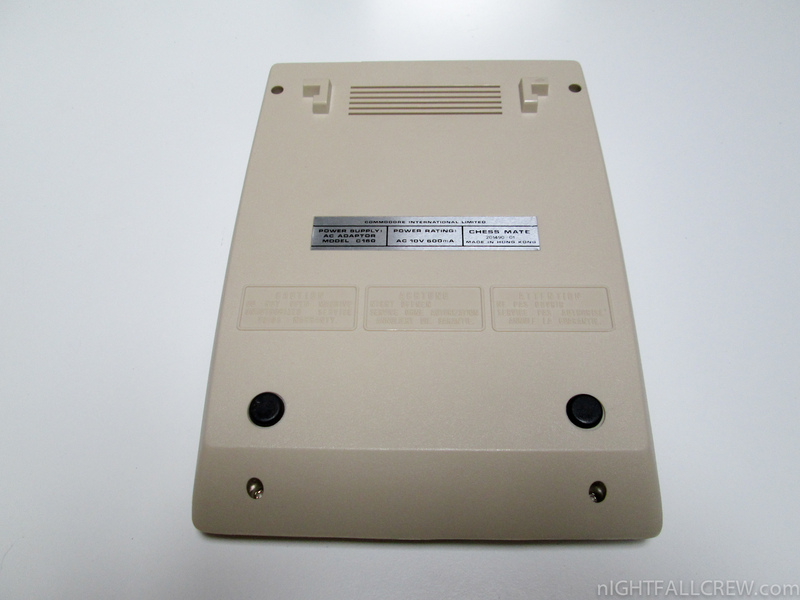 Hardware 6504 CPU (28-pin 6502, 8K addressable memory, on-chip clock, IRQ line only) @ 1MHz, 6530 RIOT (64 bytes RAM, 1KB ROM, 2 I/O ports, 8-bit timer), 6332 ROM. 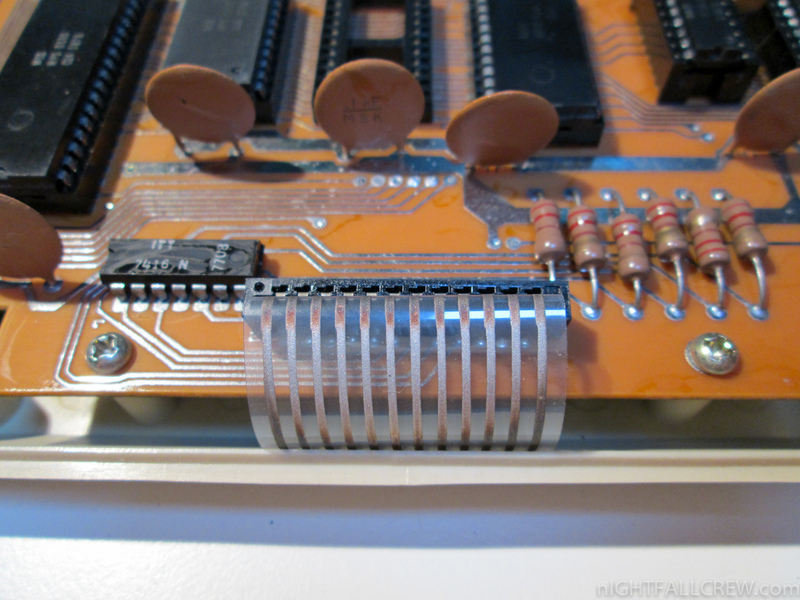 Two ROM sockets; the 6332 is occupying only one of them. 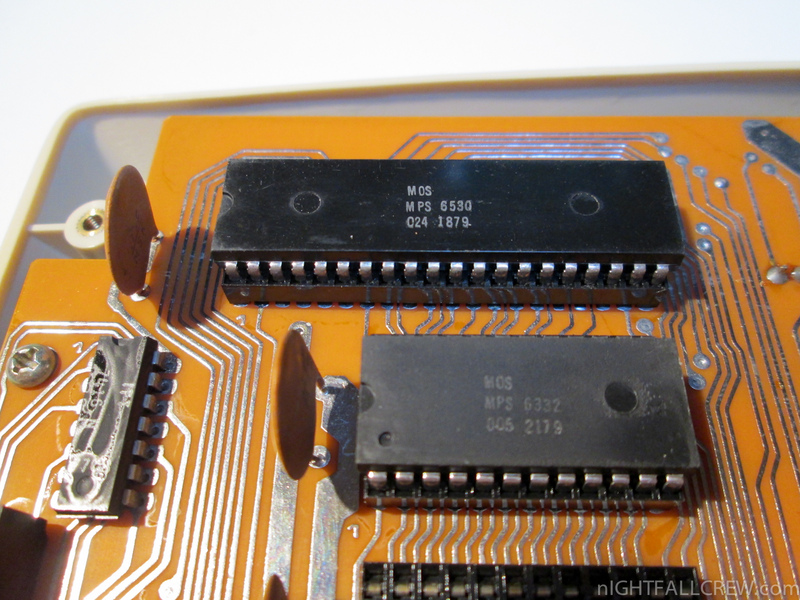 The 6504 is socketed; the remainder are soldered directly to the board. Graphics and Sound If you can call it that. 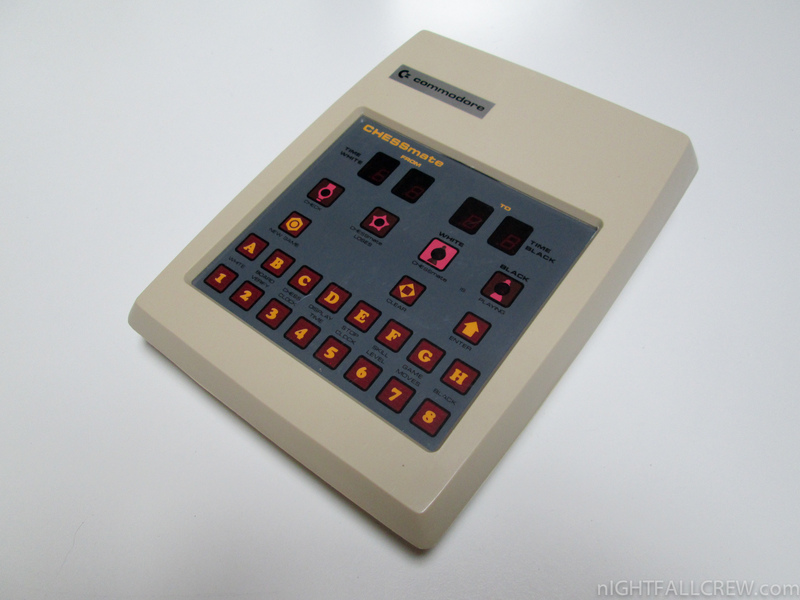 Four 7-element LED displays for the timers and four dome indicator LEDs. 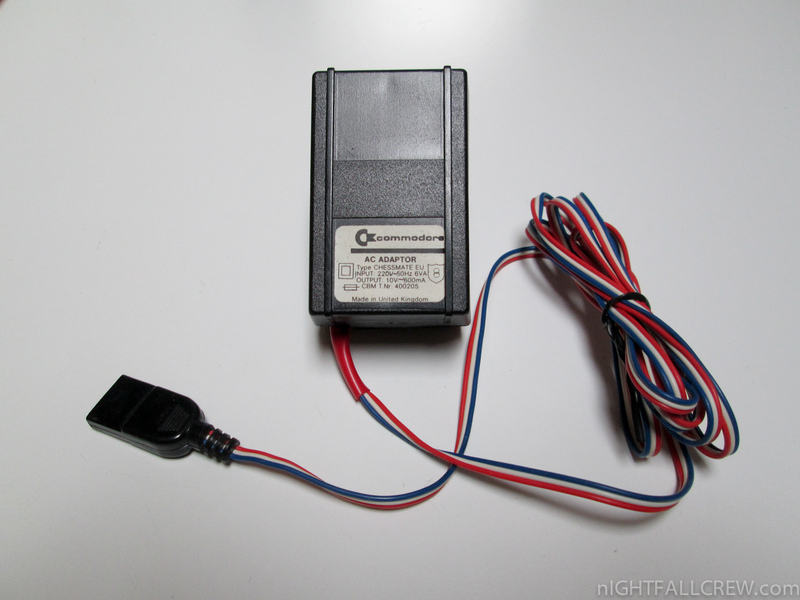 Piezoelectric beeper. Eventual Fate Released summer 1978 in USA, UK and West Germany. This chess machine is an 22 x 16 x 5cm (rear, approximately 8 x 6 x 2 inch; front is 3.5cm/1.2 inches high) machine, off-white (similar to early VIC-20s), with a dark brown base. The 7-element LEDs are in groups of two, one labeled “FROM (Time white)” and the other “TO (Time black)”; the four dome LEDs are labeled “Check”, “CHESSmate LOSES”, “CHESSmate IS PLAYING WHITE” and “CHESSmate IS PLAYING BLACK”. 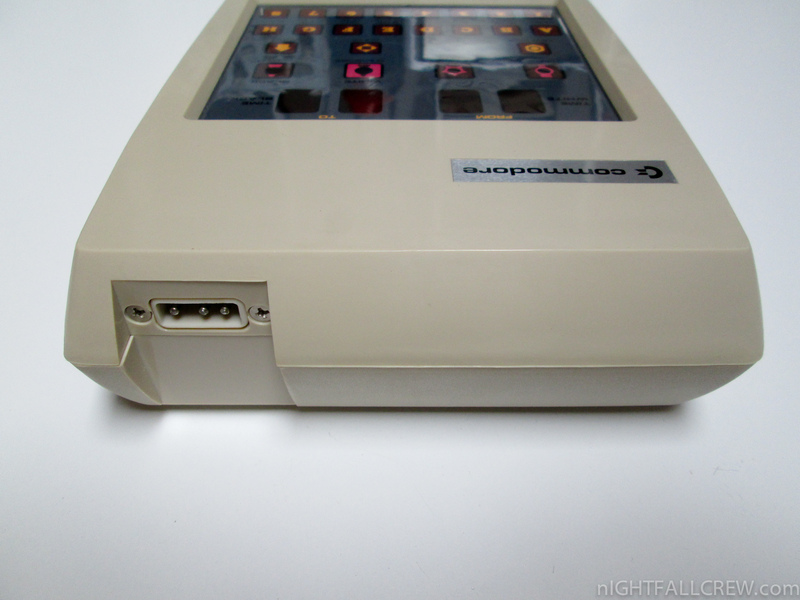 The “keyboard” is a membrane setup (similar to the Sinclair ZX-80) with 19 keys (A-H, 1-8, NEW GAME, CLEAR, ENTER), but only 11 matrix lines (A-H and 1-8 share lines). 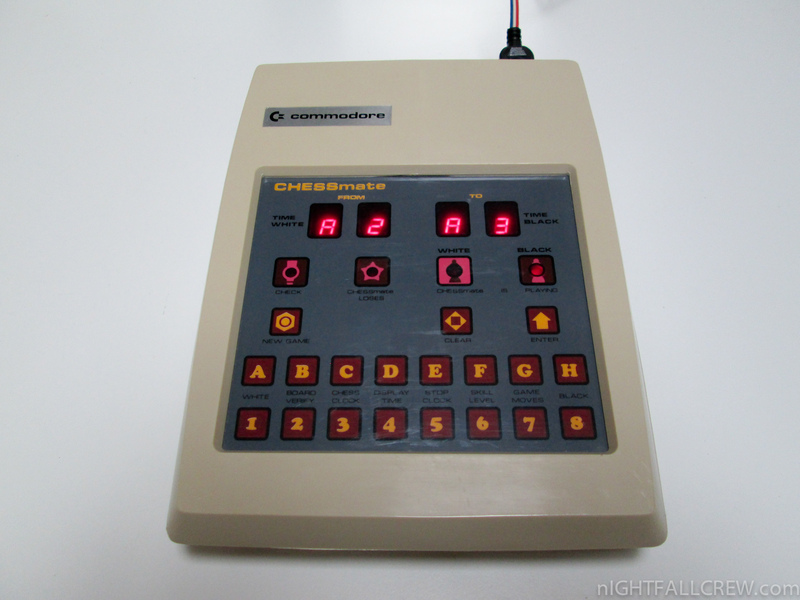 A-H are also, respectively, labeled WHITE, BOARD VERIFY, CHESS CLOCK, DISPLAY TIME, STOP CLOCK, SKILL LEVEL, GAME MOVES, and BLACK. 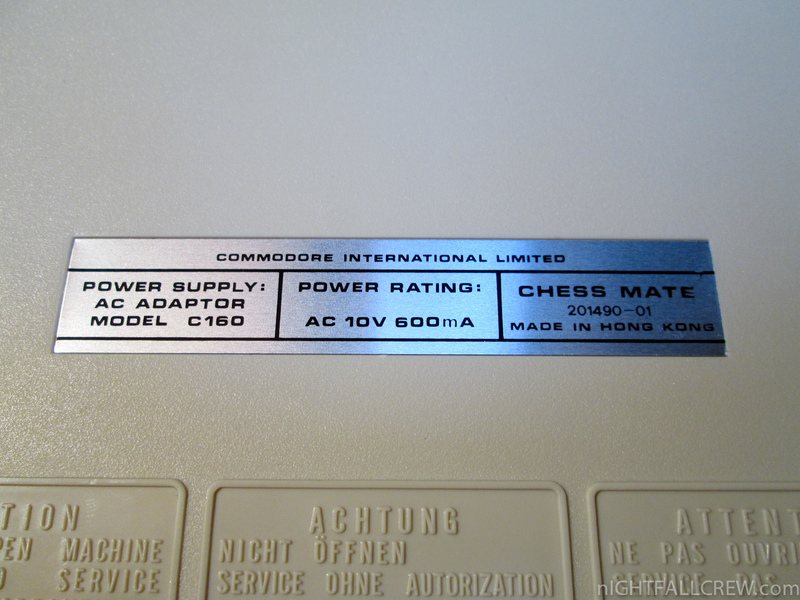 The rear plate reads: “Commodore International Limited / Power supply: AC adaptor model C160 / Power rating: AC 10V 600 mA / CHESSmate, 201490 01, made in Hong Kong / CAUTION: DO NOT OPEN MACHINE. UNAUTHORIZED SERVICE VOIDS WARRANTY.” This is printed in English, French and German. 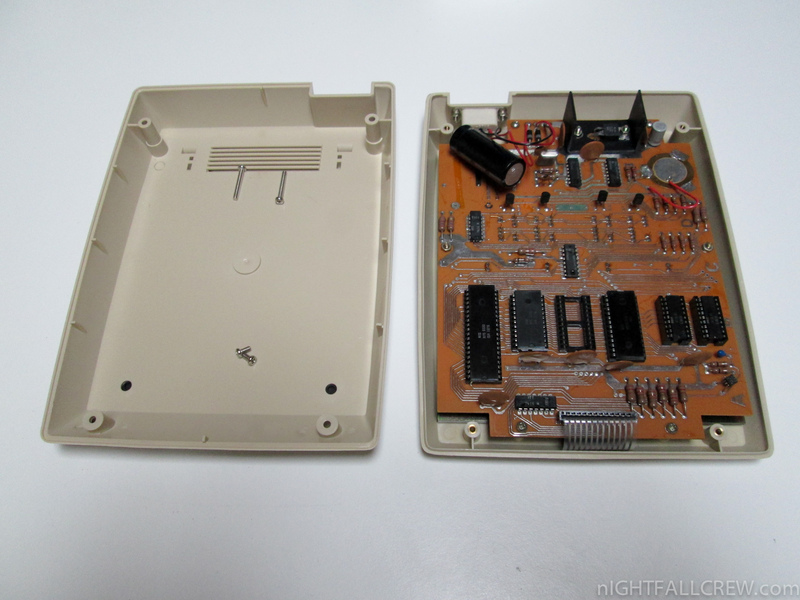 On the internal view, the ICs are, from left to right, the 6530 RIOT, the 6332 ROM (next to the empty socket for the option ROM), and the 6504. 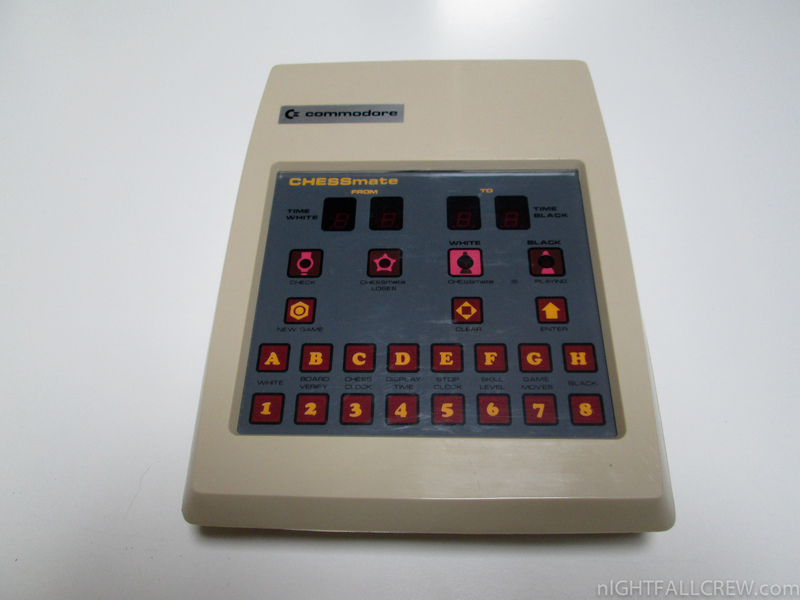 The Chessmate was developed by Peter Jennings, the original author of KIM-1 Microchess, under contract to Commodore in 1977. 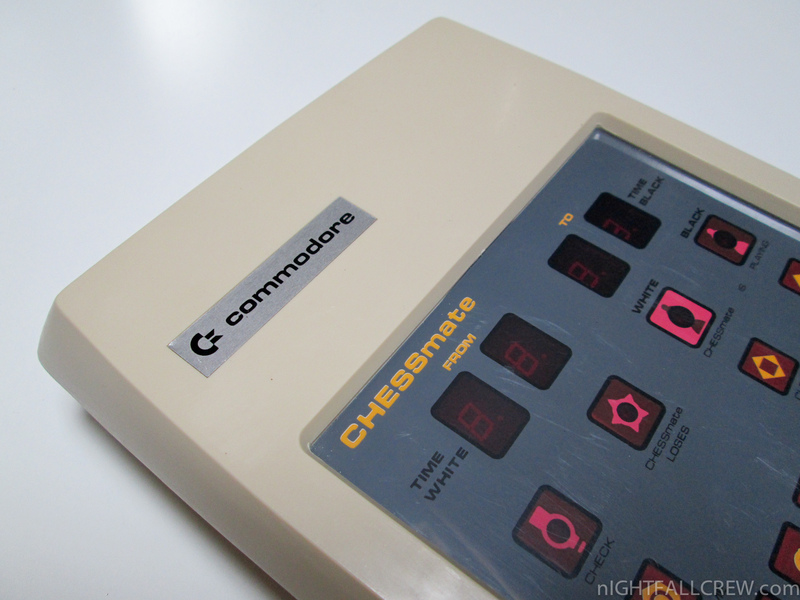 The Chessmate’s hardware is in fact based on the KIM-1, but the ROMs are of course filled with Microchess 1.5, not the KIM’s monitor. 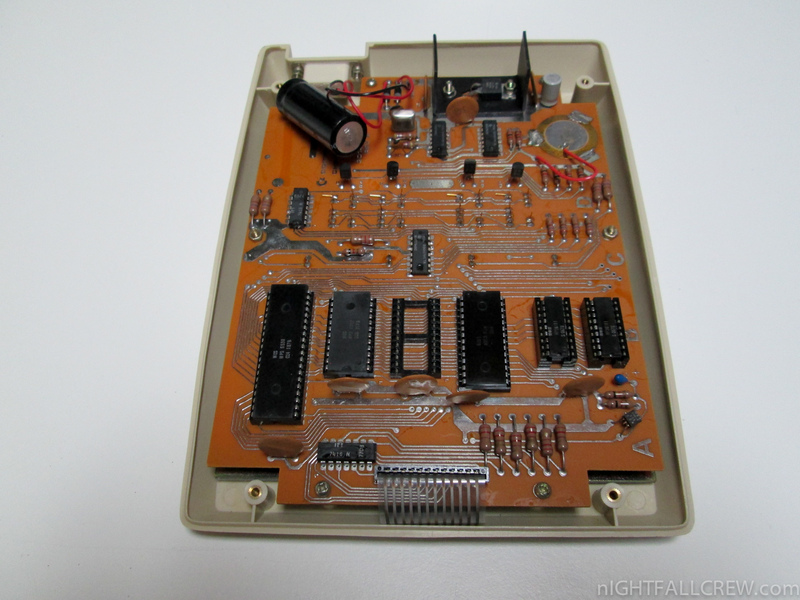 This was the same version released for the PET; the empty ROM socket on Martijn’s board was intended primarily for upgrades to the chess program. 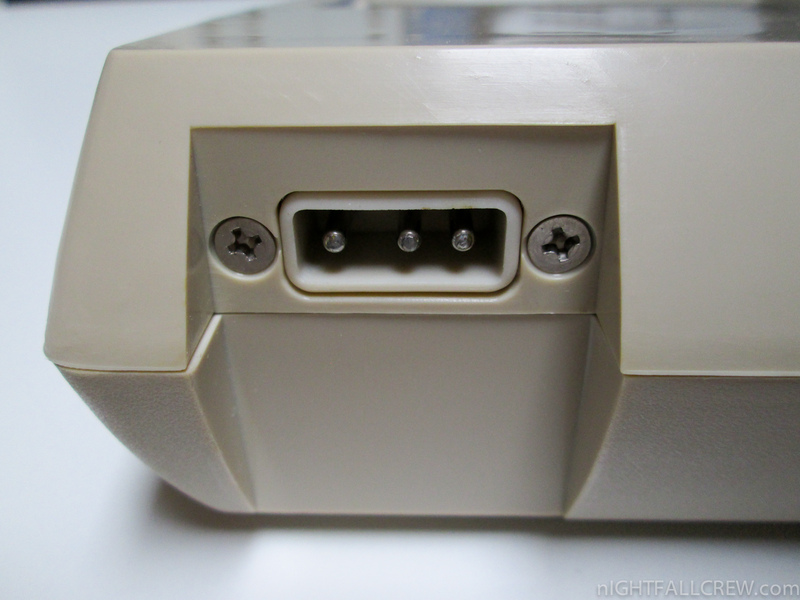 The keyboard mapping is dissimilar to the KIM as well; some of the ports were actually used for sound, and Commodore made some rearrangements to the unit for ease of manufacture after Peter released the unit to them. While simultaneously released in the USA, UK and West Germany, it was significantly more popular in the latter country than in the others (presumably due to greater interest in chess there). Peter received a royalty for each unit produced, and still owns a first-production Chessmate (sadly non-functional) and the original KIM-1 used to create Microchess and develop the Chessmate’s custom version. 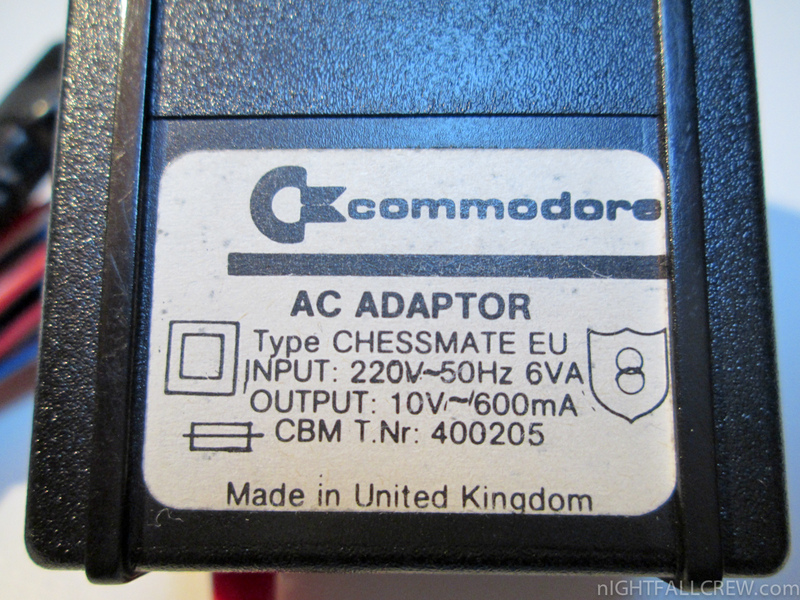 As mentioned, the Chessmate has very different ROMs from the KIM-1, and part of this difference extends to the RIOTs. The 6530 and 6532 RIOT “ROM, I/O and Timer” chips, a series of custom multifunction chips developed by MOS Technology, were designed as integrated-design cost cutters, reducing the chip count on the board as it gave the functionality of several chips and didn’t cost much more to manufacture than a regular ROM. Unfortunately, this has one important consequence: RIOTs are rarely transferable between units, because of differing CS logic between models, differing ROM contents, and some versions use fewer CS lines to get additional I/O lines. 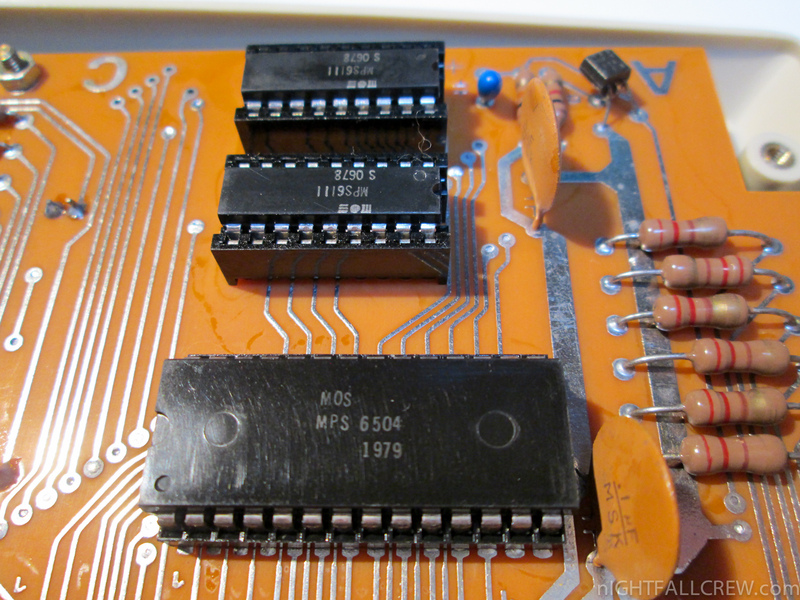 This means that the RIOT you find in your Atari 2600 (yes, VCSes have Commodore-designed chips!) is not swappable with the RIOT you would find in a Chessmate, or in a KIM-1; even the KIM-1 by itself is bad on this point, since it had several revisions alone (my unit is Revision D). Martijn’s Chessmate has a RIOT labeled “6530 024 3279″, meaning produced on the 32nd week of 1979; this is one of the last 6530 RIOT production runs known, unfortunate because the later MOS 6532 RIOT is not pin-compatible with the 6530. The “24″ is also worrisome: this means there are no less than 24 6530 RIOT versions floating around in various units, and to the great despair of anyone wishing to repair a moribund representative of these intriguing units, virtually none of them are compatible with any other.